The report by Balance, the North East Alcohol Office, warns many thousands of people in our region are risking health problems and an early death from alcohol without being aware of the necessary information around units. “Alcohol: Are we Kidding Ourselves?” is the second ever report from Balance into the “state of the region” when it comes to the North East’s relationship with alcohol. •	89% of people in the North East drink alcohol compared to 78% across the UK. •	Over one in four NE adults (26%) are drinking above the Chief Medical Officer’s low risk guidelines of 14 units a week compared to one in five (20%) across the UK – that’s around 550,000 people in our region exceeding the guidelines. 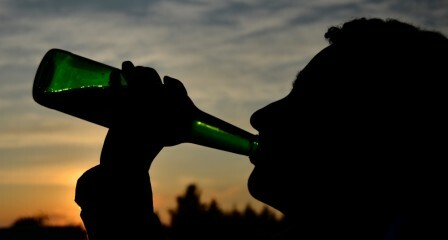 •	Nearly 9/10 North East adults drinking above 14 units a week consider themselves to be either “light or moderate” drinkers – that’s around 467,000 people. •	Nearly one in 10 (8%) NE adults are drinking at over 28 units a week – more than twice the weekly low risk guidelines. That’s over 169,000 people putting themselves at greater danger of over 200 alcohol-linked diseases and injuries. •	Three out of four people drinking more than 28 units a week believe they are a light or moderate drinker – that’s an estimated 123,000 people in the North East.